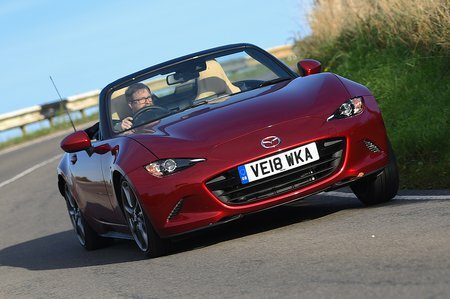 In a world where hot hatches and even two-tonne SUVs can hit 0-62mph in less than four seconds, the Mazda MX-5 Convertible is a breath of fresh air. You see, rather than chasing outright speed, this is a sports car that focuses on plastering a big silly grin on your face regardless of velocity. Of course, this isn’t a new recipe; the original MX-5 was launched back in 1989 and the current model is the fourth generation of Mazda’s affordable roadster. While you can find drop-tops such as the Mini Convertible, Fiat 500C and DS 3 Cabrio for similar money (if not less), we’d argue that its only true rival is the Fiat 124 Spider - which is based on the MX-5 anyway. Buyers can choose between a 1.5-litre or 2.0-litre petrol engine, either of which provide enough poke to have fun without fearing for your licence. Neither is a powerhouse, but that’s no issue considering the MX-5 weighs about the same as a city car. There's also the Mazda MX-5 RF model - which stands for Retractable Fastback, i.e. a metal folding roof rather than fabric. It's a little more expensive, but provides a desirable alternative to the soft-top that makes sense all year round. 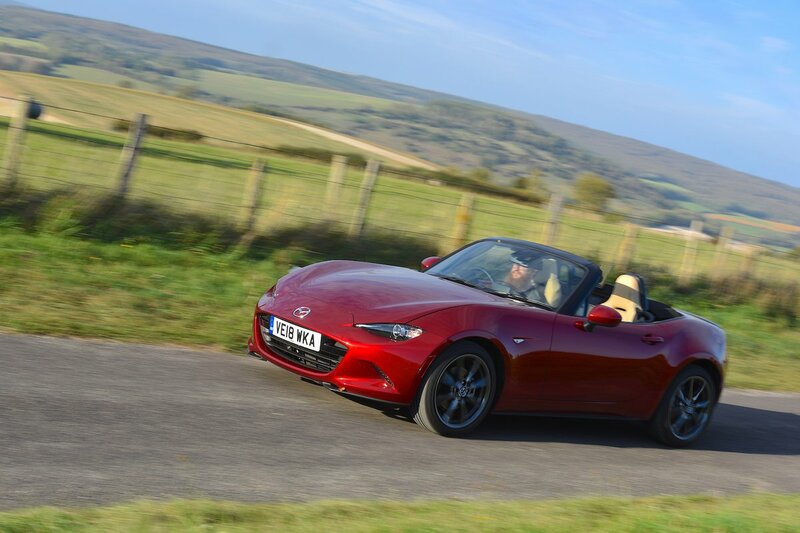 If we’ve piqued your interest, carry on reading over the next few pages to get the complete rundown of what’s good, and not so good, about owning an MX-5. And if you decide that it’s the sports car for you, head over to our New Car Buying page, where you could land yourself a tidy saving on the list price.